Being a gun blogger and a gun reviewer I have to spend some time at gun shops picking up the guns and getting them serviced. In the area of Texas I am I have been blessed with a large number of local shops near me as well as quite a few gun ranges. 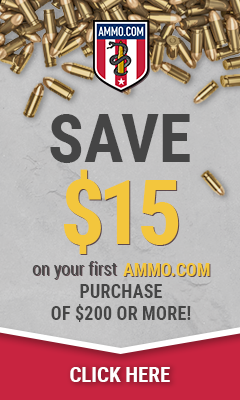 I am not going to sit here and tell you that I know about every gun in the world or even understand everything about every gun so when I have a question I use my local shops as a resource because 9 times out of 10 they have a better practical understanding and explanation to help me understand so I can share that knowledge here on our site. 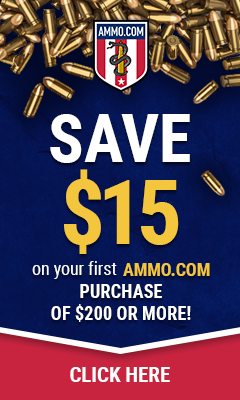 Big box stores like Academy, Bass Pro, and Cabela’s are wonderful places and I take most of my friends and family there to pick up ammo before we head out to go shooting because they have the best selection and in most cases the best prices. Local gun shops can do customization and repair of most firearms like restoration of metal or wood parts, gun bluing, case hardening, checkering and many other services that big box stores can’t. Don’t get me wrong, I believe there is a place for both the box stores and the local small shops but the problem for me had been finding a shop that is willing to work with me and there are a good number of shops here in my area that I wouldn’t send anyone to because of the service and way they treat people. Before I started blogging I didn’t have much need for a local gun shop because I wasn’t buying guns and the guns I did own I had enough of a knowledge from my grandfather to maintain them, but now that I spend more time at the range shooting I like to have my guns inspected for safety from just wear and tear. I am not going to name the shops who I won’t do business with because I am not here to bad mouth anyone in particular but I will share a story I have dealt with in the past. I took a couple of friends camping a few years back and I needed a 3rd .22 rifle for the camp out since there were 3 of us I wanted everyone to be able to shoot so I used a friends gun and after the weekend of shooting 1800 rounds I took the gun home to clean it and all hell broke loose. I had the action pulled out of the gun and it was in a million pieces and I was lost as to how to get it back together. I looked online found a shop near by and took the gun over and the gunsmith said he would charge me $25 per gun to clean and fix so I brought in two guns. One the action was sticking and needed to be fixed and the marlin I had pulled apart and the gentleman reconfirmed that it was $25 per gun and it would take about a week to fix. I waited and called 12 days later and he told me he had gotten behind and needed more time so I waited 3 weeks and called him back. He said “oh yeah the gun is fixed and he had forgotten to call me.” I went into the shop and he rang up the bill for $25 for marlin gun and $45 for the other. What???? I asked if he had to get parts or why it was $20 over and he told me that it was because the sticking gun needed to be polished. I didn’t understand what he meant so I paid and left. I took the gun home and found that it really was never even fixed. Later I found I just needed to keep it oiled. The guy overcharged me, and then didn’t even fix the gun. The other problem I have found is there is a lack of respect and a lack of customer service towards anyone who isn’t a “good ol’ boy”. So the problem is on both sides of the fence. The old gunsmiths don’t relate to us younger people and we don’t know about them and respect their knowledge base. I know most people of my generation don’t go into the gun shops to see what the new guns on the market is, they go online and read blogs and then find the gun cheaper online and they don’t spend time in the shops so we aren’t getting the opportunity to find out how fun it is to go to the shops and look at all the new guns… getting a chance to see and feel these guns and finding out that polymer guns aren’t the only thing out there. I found a shop that I really like, SMR Firearms in Hurst, TX and I have all of my gun transfers through him as well as take him my guns to be serviced. About 2 months ago I took my Glock 21 in for its 20,000 round service check. He told me it was going to be about a week before he had time to get to it which I understood. The great news was, I got home about 30 minutes later and had a call telling me that he had cleaned the slide and polished the ramp and the frame making the gun shine like it was new. The sad truth is Gun shops are not like they use to be and are being run out of business because of the big box stores and the internet. I want to encourage you to make a point of finding a gunsmith you trust and helping them stay in business by sharing them with your gun friends and the shooting community. Lets work together to help keep the gun shops around for future generations.